Having marked "Players" in Headline View, is it possible to show health bars when they're missing health? Also, where can I remove the faction icon? You can disable the faction icon in the options under Widgets - Social. Switching between healthbar view and headline view based on health is currently not available. It would make a good feature for automation, tough. Is there a way to convert healthbar view to headline view on entering an arena? No, it's not possible to switch to headline view (for friendly players, I think) only in arenas. There is the Automation feature (in General - Automation), which let's you switch between headline and healthbar view in certain situations, but not just in arenas. Got a request to be considered. The current "system" to show which mob has aggro on me I find to be difficult to see... the markers one can use seem terribly pale and very easily get lost in clutter. DO recall the day when one could set it to enlarge the plate... I think this was a function in TidyPlates. Could we have such an option back (I am a ranged caster)? You can still adjust the scale of plates in combat/threat situations. In the options, go to Threat System - Scaling. There, you can set, e.g., the scale of securely tanked units to 60% and units that have aggro on you to 100% or something like that. the recent update 9.1.5 gives me (lua ? )errors with the MoveAnything Mod. I couldn see my debuffs the way i wanted it anymore and the chat frame for typing was always resetting. Can you createa an issue and post the Lua error there? I know that there are MoveAnything errors, but all I know are not related to Threat Plates. So the error message would help. Ok, I was able to reproduce that error now. A fixed version 9.1.7 is available now. I started playing again after not playing for a bit, and updated all my addons including this one, the addon is getting an error, any ways I can fix it? Ah, there is a typo in the migration code for deprecated combo points settings. As the migration is only triggered when you use a version before 9.1.0, not everyone gets that :) I have uploaded a fixed version as 9.1.6. It should be available for download in a few minutes. 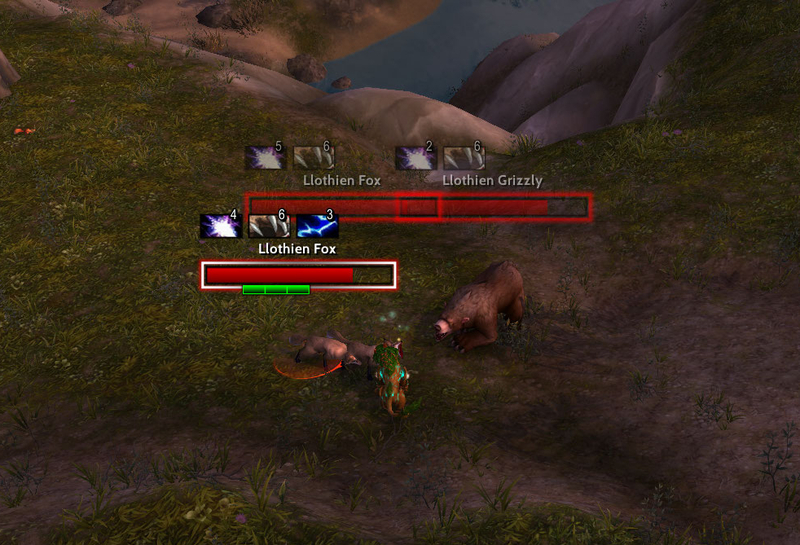 first of all thx for the best nameplate - addon. As a tank, this addon helps in so many ways, great job! Is it possible to see my / the players (!) cast bar on the selected target - nameplate? So, I already know how to see the enemy's cast bar on his namplate, but as I wrote: I woul like to see my cast bar too. A anchor with WA2 works with ThreatPlates. To this anchor you can add any WA2 - element. So it's quit easy to make a custom cast bar and pin it to the anchor. Thanks, Calron, that's always great to hear. Currently, what you want, is not possible with Threat Plates - unless you use WA - as you commented below :) I added it to the feature list just to not forget it when I look at castbars again. Hm, I have to look at that at some point. It could be that there is a side-effect with the nameplate layering. Threat Plates messes with it and there are other nameplate-related addons (e.g., flyPlateBuffs) that do not work well with Threat Plates because of that. Yeah, I get that error also, but as far as I know that's a bug in MoveAnyThing. Why do you think it's Threat Plates-related?